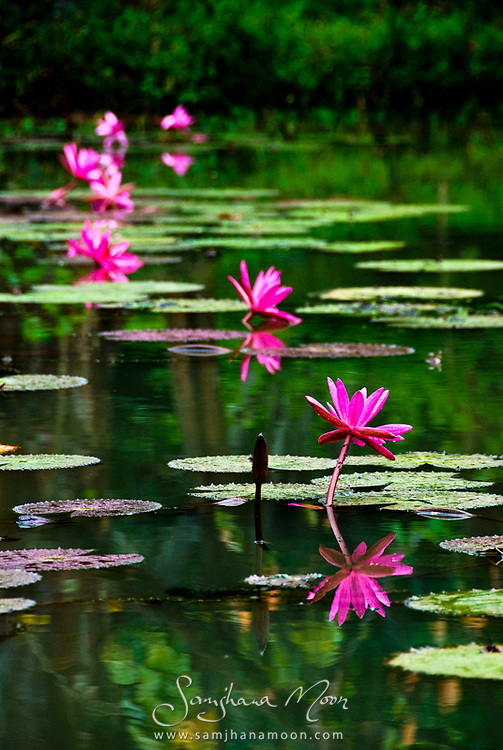 "These beautiful flowers grow at the sacred site of Sigiriya (Lion's rock). It was monsoon season and a heavy storm had just passed leaving a moody light which saturated the colours for this magical shot." Sigiriya is an ancient rock fortress and palace ruin, surrounded by the remains of an extensive network of gardens, reservoirs, and other structures. The Sigiriya was built during the reign of King Kassapa I (AD 477 - 495), and it is one of the seven World Heritage Sites of Sri Lanka.